In G. A. Henty's heroic clash of opposing conviction, Vincent Wingfield, a young spirited teenager and heir to a southern slave plantation, bravely proves his sympathy for brutally treated slaves and becomes a staunch supporter of slaves' rights. But, with the onset of the Civil War, Wingfield's fidelity to the state of Virginia leads him to serve under Robert E. Lee's cavalry and fight for the Confederacy. Through his courage and readiness, he survives hairbreadth escapes, attempts on his life, and two imprisonments. 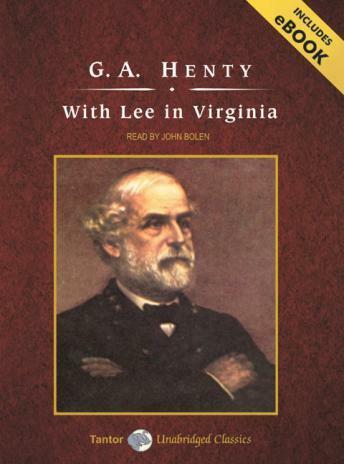 Henty provides an intriguing insight into the war's famous battles, the characters of Robert E. Lee and his lieutenants, and the vast complexities of the saddest conflict in the history of the United States.